Season 3 Opener at Comic-Con: Risky PR Move? Were you one of the 4,000 fans, media and curious onlookers in Ballroom 20 for the Outlander panel at San Diego Comic-Con? If you were, then *slow clap* for your place among the fortunate few who were surprised with an advance screening of the Outlander Season 3 premiere seven weeks before its scheduled September 10th debut. SEVEN WEEKS. While my initial reaction to this move was an emotional one driven by the green-eyed monster, I quickly moved to an intellectual one marked by a lot of head scratching and “say whaaaa?”. As an integrated marketing communications professional, my brain is now locked firmly on one question: STARZ, what’s the strategy behind this all-in move? I’ve never quite understood the network’s often-disjointed efforts to promote Outlander to its existing and potential fan base, as I’ve detailed previously here and, more recently, here. Their lack of noticeable marketing and PR to support what is, arguably, their show with the most ardent fan base has turned “The World of Outlander” into a virtual ghost town. In the past two weeks, however, I’ve taken to barking like an excitable seal at the PR about-face STARZ has pulled off. After months of silence, they offered a few brilliant and well-integrated nuggets to a fan base who just trudged through the one-year mark of Droughtlander. The professional side of this die-hard fan recognized the early makings of an effective drip marketing campaign, and I thought my heart was gonna burst with an audible “finally!” sigh of relief. The term “drip marketing” comes from the irrigation process of dripping water onto the root or soil of crops over a period of time. 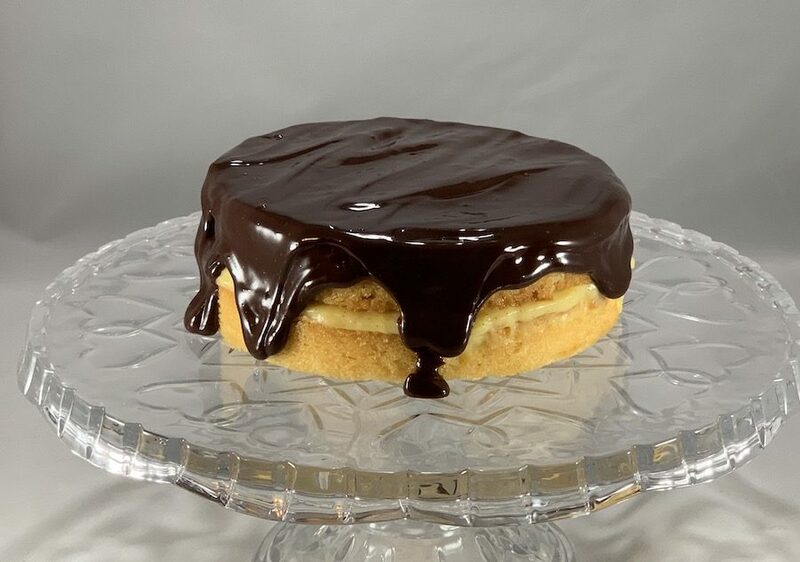 Let’s all put on our Fraser family farming hats for this one. Think about a tomato plant. Dumping a bucket of water directly onto the plant overwhelms it, and it drowns and dies without ever having the chance to produce a juicy, full tomato. Give the plant enough drops of water at the root level over a sustained period, however, and it will find the nourishment it needs to ripen without harm. Drip marketing follows the same logic. In the case of Outlander, feeding the fandom content at well-timed intervals offers STARZ, in my humble opinion, the most strategic opportunity to serve existing and potential new fans the fruit of Outlander and its highly anticipated arrival. Drip, drip until the welcomed flood of Sept. 10th. Here’s what STARZ did. First, we received the premiere date delivered via stunning key art, with the added bonus of a filmed version that brought the story and emotion behind the art to life before ending on the static image. 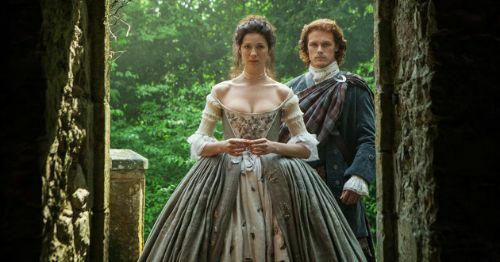 One week later—even though we all anticipated an arrival timed to San Diego Comic-Con, as is done frequently for big-budget TV shows and films—that powerful and climactic trailer (or, as Outlander pal and blogger, Karen, put it, the chime heard ‘round the world) arrived that placed our hearts squarely in our throats. Flash to Comic-Con, where festival goers enjoyed the sounds of bag pipes, kilted “Highlanders”and, most remarkably, a first-hand experience of THE PRINT SHOP (per fellow editor Janet’s decree that it must be capitalized from here forward). Delish! That, folks, is experiential marketing at its best. Take the single most important moment of an 800+ page book—one whose screen adaptation has the potential to define the ENTIRE season’s fate in the eyes of a fan—and bring it life in every sense of the word. Just short of piping in the paper, ink and machine smells of an 18th century working print shop, it truly provided all the feels. Those not onsite in San Diego benefited from continual updates and fodder via the network’s social channels, including a light-hearted look at Jamie and Claire’s road to reunion at the festival via their Pop! alter egos. All this before we ever arrived at the official Outlander cast and crew panel, which begged the question—what ace do they have up their sleeve for the main event? A condensed Q&A with cast and crew followed by a screening of the full Season 3 premiere episode, that’s what. Wait… the flood cometh already? To be clear, this is not a “hey that’s not fair, what about me and my million other Outlander pals who want to see it” moment. This is a “how in the frank do you plan to roll into the promotional blitz that accompanies fall season premieres having already played all your cards?“ Here are some of my professional and fan concerns. When it comes to Outlander, I’m the breed of TV watcher that appreciates the comfort of my own home—feet up, libations and nosh at-the-ready and noise kept to a minimum. By contrast, the inhabitants of Ballroom 20 took in the premiere under the watchful eye of armed security carrying infrared detectors to seek out those ignoring the “no mobile phone use please” rule mandated before the episode started. Granted, San Diego Comic-Con is not for the faint of heart—upwards of 200,000 people, long lines, 12-hour days, boxing out to get seats for your favorite panel, then waiting possibly eight hours for said panel to start (as was the case for our amazing Outlander Cast Street Squad). The point being that the fearless 4,000 (minus the handful of media who enjoy more agreeable conditions) were rewarded, as they should be, for the hefty ticket price and sweat equity they threw into the game for the love of Outlander. It’s somewhat like enduring steerage conditions to earn a first-class ticket on the Queen Mary. For that, I commend and congratulate you. But how does STARZ plan to control the fan base for the next seven weeks? Yes, they were asked not to take photos, videos, text, send tweets, post to Facebook, dispatch carrier pigeons, etc. But it’s bound to happen. Heck, even Diana Gabaldon offered all of Ballroom 20 safe refuge on her Facebook page. The restraint shown in the first few days will wear out quickly, and the millions still in the dark will feel like they’ve inadvertently jaywalked into oncoming traffic trying to avoid getting run over by a spoiler. By September, we’ll likely know all thanks to what my blogger pal Holly termed accidental osmosis. “So don’t read the spoilers then! Avoid the fan pages.” Advice I’ve seen a zillion times, and it’s only day three. But asking people to turn off the only connection they have to Outlander in the off-season—their fellow fandom and part of their Droughtlander coping mechanism—is like asking you to ignore your closest friends for the next two months in the middle of a personal crisis. You know what’s riskier than an Outlander fan with insider knowledge? An Outlander fan who also happens to be a member of the press, complete with a verified platform and baked-in audience of millions with which to share all. EW’s Outlander go-to gal, Lynette Rice—who might or not might have had special privilege to do so—was LIVE TWEETING details of the episode from Ballroom 20. Several hours later brought daylight and a few “recaps” (like this one from Variety) that either disclaimed spoilers or attempted to write a piece avoiding them all together. Good luck with that. Fervent book readers know what’s up even when you think you’re exercising discretion. Outlander needs the press, for sure. All TV shows do. But this variety of publicity comes usually in a layered manner leading up to the actual premiere date. Outlets are sent advanced screeners of the first several episodes so they can offer fans a sneak peek of what’s in store for the new season. The cast goes on a press tour to ensure that you can’t go online, pick up a magazine, or turn on your digital devices or TV without their reminding you that Sept. 10 is upon us, and it’s not too late to give the show a try if you have yet to do so. To Premiere Event or not to Premiere Event? That is most certainly a question. The intent of premiere week has always been to, well, premiere the episode for media and fans. Sound familiar? It appears as though STARZ may have just used Comic-Con as a stand-in to avoid having to expend limited money and resources to do the dog-and-pony show all over again in September. It’s quite possible the swelled production budget of filming a show for ONE WHOLE YEAR combined with the ever-increasing costs to execute a smart presence at a venue as large and important as Comic-Con left little in the STARZ marketing wallet. I do think they’ll still hold a media preview event with Papa Bear Moore, Queen D and the Fab Five strutting their stuff on the red carpet—because that’s the bare minimum of any publicity effort. What remains to be seen, however, is how STARZ will factor fan participation into this media-focused event. Because, again, they just did that. 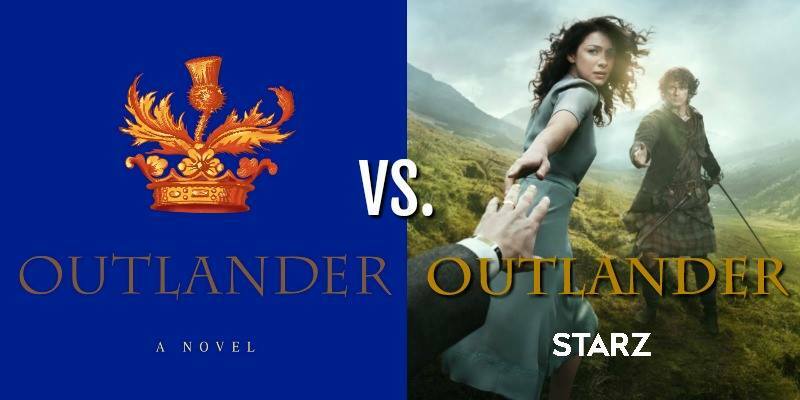 Outlander marketing, advertising, PR—you name it—is all designed to reach new fans. Please don’t read from this that I take for granted the existing fan base. Not a chance. Clearly, I’m with you—as evidenced by devoting all my free time to a fan blog dedicated to the show. Sustaining a show’s squealing loyalists matters, hence showing the full-length episode to a room full of them. But what about the casual viewer, or the one who has yet to sample the goods? Long-standing fans would (and have) watch a single episode 17 times forward and backward, standing on their head, underwater, etc. Like our own twisted Dr. Seuss’ Green Eggs and Ham moment, we would watch it here or there, we would watch it everywhere. I’m willing to be completely wrong, and hope I am. Hey, the last time we endured a great build-up to an epic unveiling was a little episode you might have seen once or twice called “The Wedding.” As you’ll of course recall, our anticipation was at an immeasurable high when 12 minutes in Jamie and Claire sealed the day in a manner eliciting a collective “wait… that’s it? !” And you know what? It wasn’t. The wizards behind Outlander had crafted a careful, emotional and downright unbeatable payout to all that waiting that was just on the other side of the assumed one. Who’s to say that there might not be similar PR magic at work here? What I know for certain, though, is that had STARZ shown only the first 10 minutes of the first episode (likely the Battle of Culloden)—or hell, even a second trailer—I’d call it a sure-fire win. It would have accomplished the goal of whetting the appetite of media and fans while still leaving room for more hype as we steamroll closer to September 10th. But showing the entire episode? It’s a strategy I’m not sure this marketing gal understands completely. What do you think of STARZ’s decision to show the entire first episode at Comic-Con?